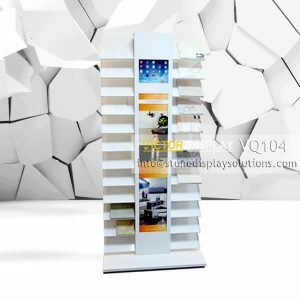 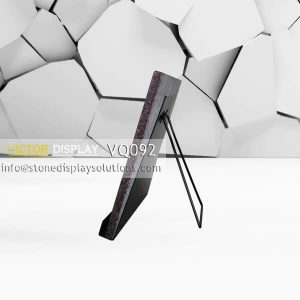 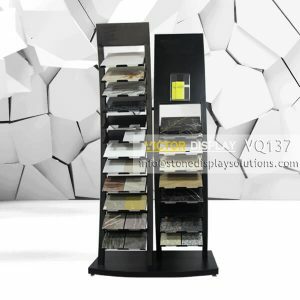 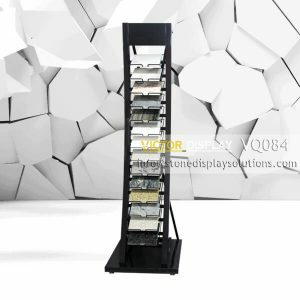 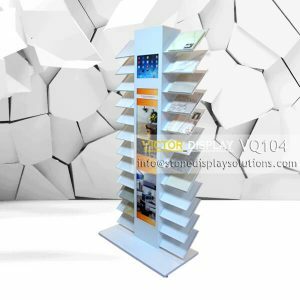 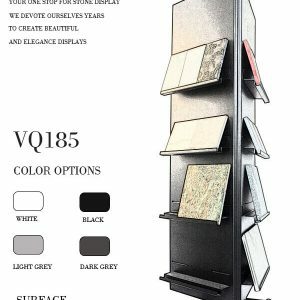 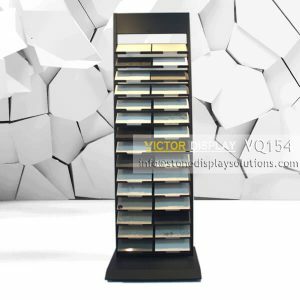 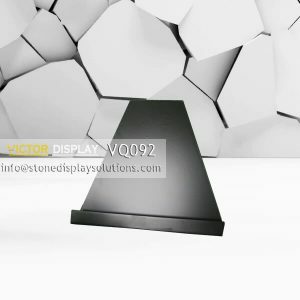 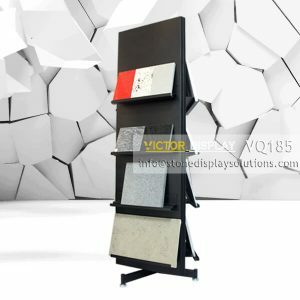 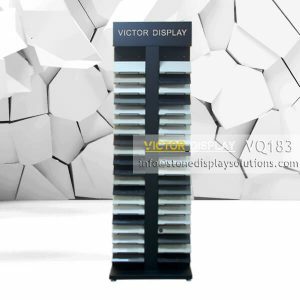 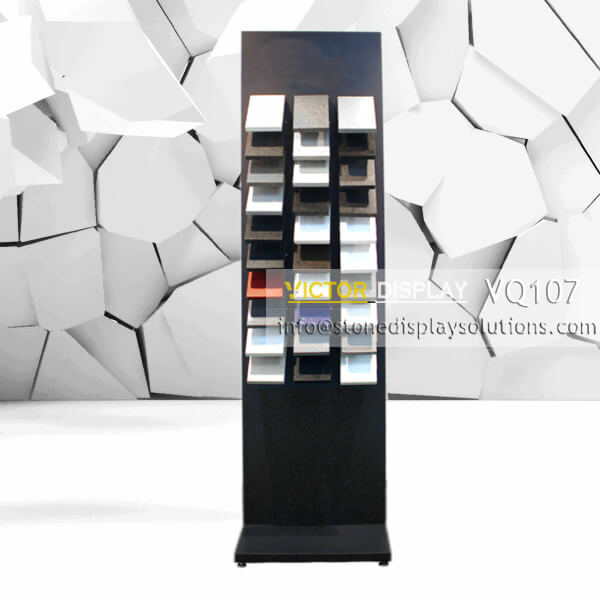 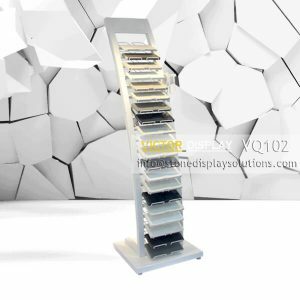 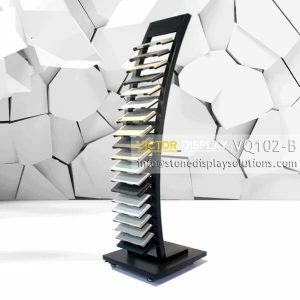 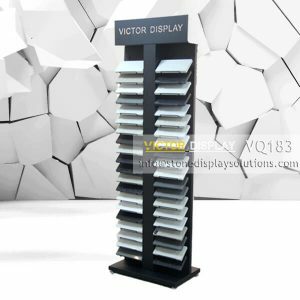 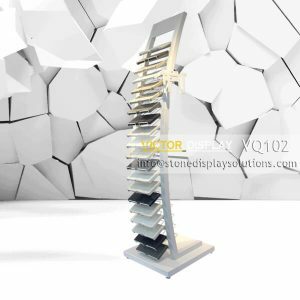 Use Victor “Flying” Stone Display Rack to build impulse sales! 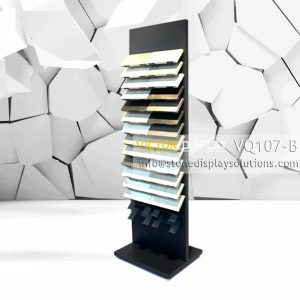 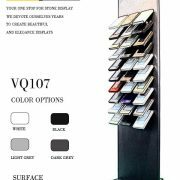 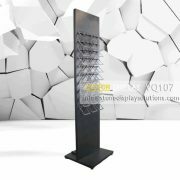 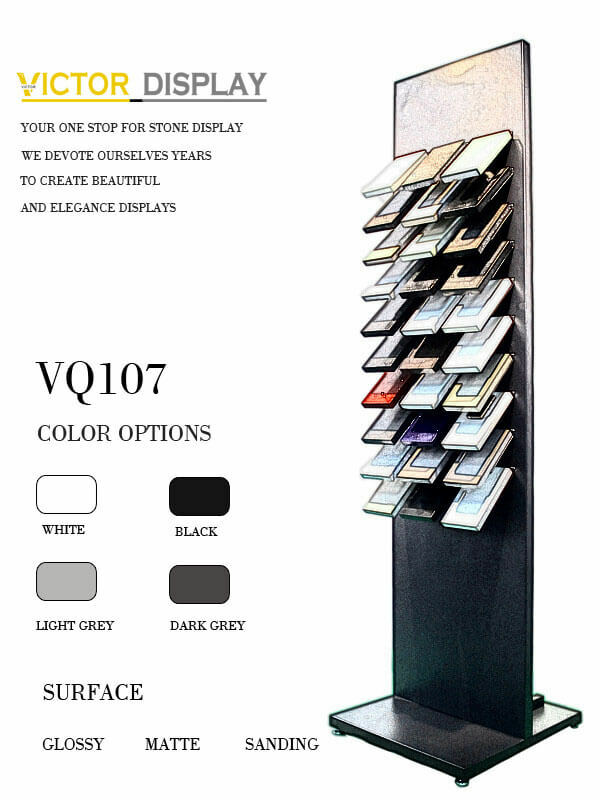 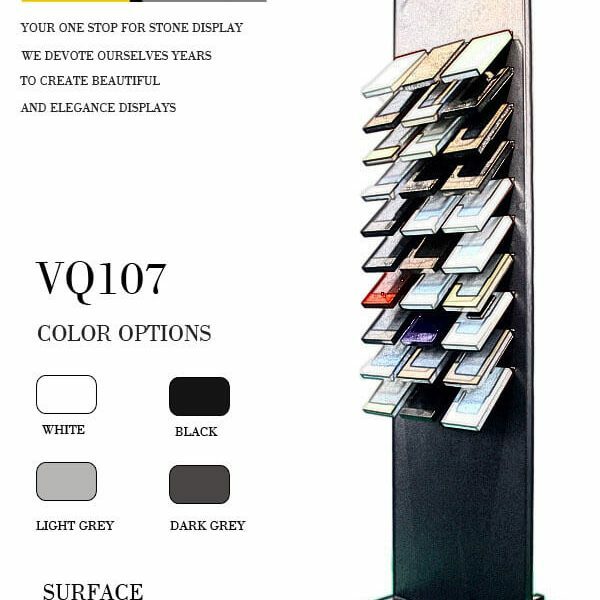 VQ107 is certainly an eye-catching displays to display 30-50 quartz samples. 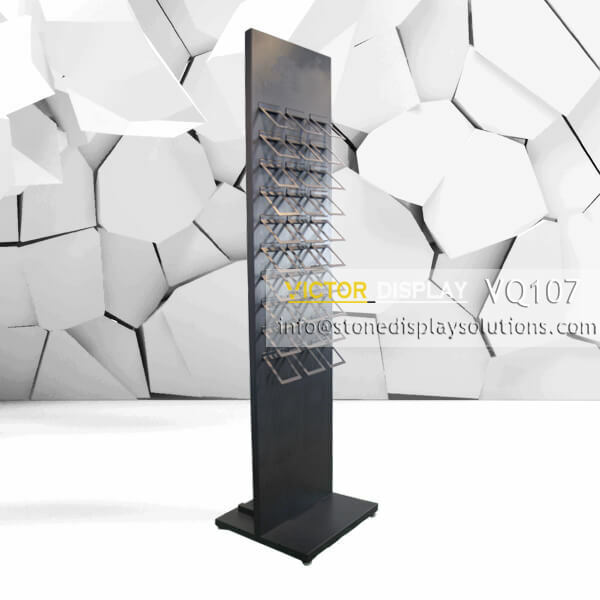 Stone looks flying on the rack with out wings. 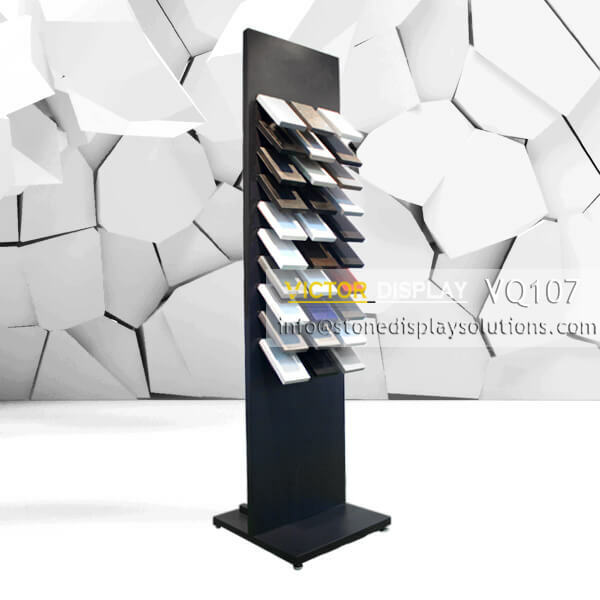 Attract everyone’s attention no matter in stone showroom, trade show booth or sample stores. 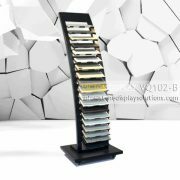 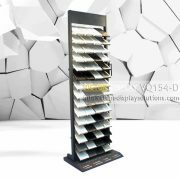 For standard size, there are 10 tiers to display 30 colors, your customers do not need to bow, they can see and get access to bottow colors. 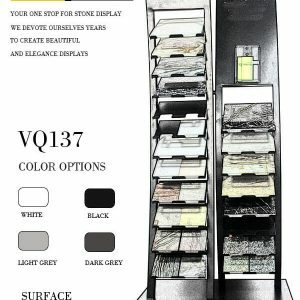 We can also customize it according to your stone color quanitity.